The shocks keep your vehicle from bouncing excessively while you’re on the road. If there are issues that develop with your shocks, then you will soon know about them because you will soon begin to feel a difference in how your vehicle is positioned and the smoothness of each ride. Road Runner Auto Care in Victorville can examine the shocks and your tires to determine how much damage there is and if there are any other components that need to be replaced or repaired. A sign that you might notice as soon as the shocks start to give out is that the vehicle will easily swerve in windy conditions. Worn shocks usually make the car unsteady, similar to driving an SUV, van, or large truck. They just don’t keep the vehicle from veering as much as shocks that are sturdy would for the vehicle. Pay attention to your tires. Worn shocks will usually cause excessive wear and tire, especially on the inner part of your tires. The front tires will usually be impacted more than those in the back. 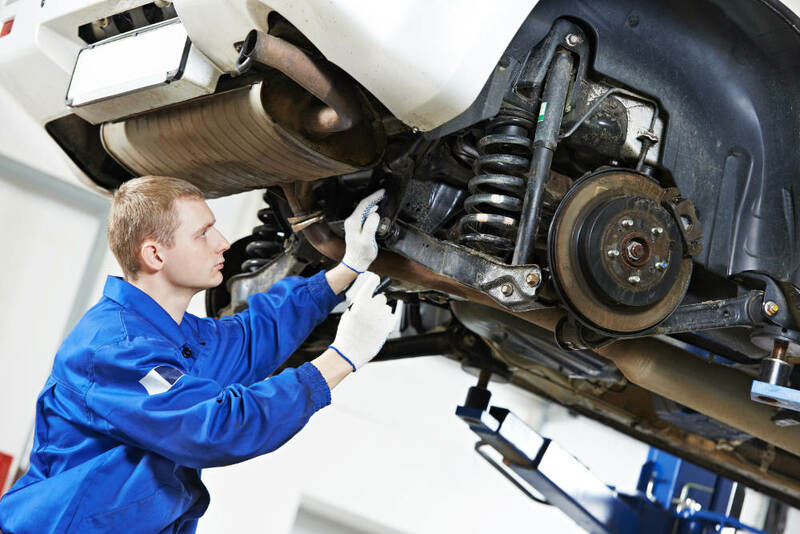 Road Runner Auto Care in Victorville can examine the front end of the vehicle while looking at the shocks to see how worn the tires are and if they need to be replaced. You’ll usually notice the steering wheel shaking or a rattling noise coming from the front of the vehicle if the shocks are bad. A slight rattle might not be anything to worry about and could just be a rock that has been trapped in the hubcap, but if you notice the shaking and rattling getting worse, then you should let the mechanics at Road Runner Auto Care examine the shocks because are likely worn. This is one of the dangerous impacts of worn shocks because other parts at the front end of the vehicle could get loose and break or begin to come off.